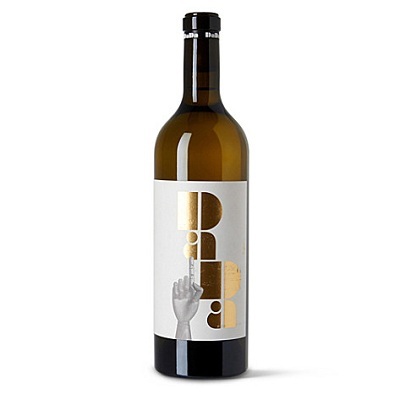 Founded in 2006 by David Ramonteu and Kate Galloway, Dada Wines was established with the sole aim of creating unique, non-classifiable and exceptional wines. Based in Hawke's bay, New Zealand, they aim to produce unorthodox blends that encompass the best of the region’s diverse landscape and varieties. Partners in life and winemaking, David is from France and Kate is a New Zealander. David Ramonteu is from a winemaking background; he grew up in the mountainous Pyrenean farming and winegrowing region, where his family has an estate, Domaine Cauhape in Jurancon. David graduated from Bordeaux with a Master’s degree (1998), before joining French wine research company Oenodev as a consultant, work that took him around the world – and to New Zealand. David now lives in New Zealand, working for wineries throughout the country as a wine consultant. His ongoing affiliation with Oenodev ensures he is kept abreast of new developments in wine technology. New Zealand born Kate Galloway is chief winemaker for Alpha Domus winery. In addition, she works with David to produce wine under their labels, Dada and Alluviale. Kate had a career as a chef, including several years working in Europe, before returning home to pursue her love of wine, and her interest in New Zealand’s burgeoning wine industry. She has a Bachelor of Wine Science (1998) from EIT Hawkes Bay in association with Charles Sturt University, graduating with Academic Excellence. Kate and David live by the sea in Hawkes Bay with their two young children, Gala and Saul, and a collection of ceramics, paintings, old cars and trinkets. They believe that blending enables them to create complex, complete, elegant and restrained wines that could not be made with the conventional constraints imposed by single vineyards, single terroir or single varieties. There aim is to create wines unlike any other that combine lightness and purity with depth and substance - "Throw away your textbook, reject the safety of the predictable, for the possibility of an extraordinary experience." Located on the east coast of the North Island of New Zealand, Hawke’s Bay is a maritime climate and has a diverse landscape. It encompasses high mountain ranges to the north, south and west that shelter the region from cool winds and weather and steps down towards the coast, flattening out to the plains and the Pacific Ocean. Dada 2 is blended red wine from the renowned Gimblett Gravels and Triangle regions. It is predominantly Merlot with contributions from Syrah and Cabernet Franc, depending on the vintage. It references the exchange of wine that existed in the 19th Century between Bordeaux and Hermitage. The Gimblett Gravels winegrowing District, covering 800ha, is strictly determined by the gravelly soils laid down by the old Ngaruroro River, which were exposed after a huge flood in the 1860's. In the triangle region it is the special nature of the soils here that provide depth and flavour to the resulting wines, based on free-draining "red metal" gravels overlaid by alluvium derived from loess, volcanic ash and greywacke. The combination of these special soils with high sunshine hours, low rainfall and Growing Degree Days comparable to Bordeaux makes the Bridge Pa Triangle a unique viticultural area. Dada 2 is believed to be the first red wine made and bottled without any sulfur dioxide in NZ. The exact composition of each wine changes year to year, and is entirely determined by the quality of the fruit that particular vintage. We do not wish to rely on varietal composition for defining this wine. This composition is subject to vintage variation. Several varieties were vinified but did not make the final blend. The final blend in 2009 comprises 3 varieties –Merlot, Syrah and Cabernet Franc. It s a deep purple red out of the bottle. On the nose plum and berry fruits and spice. Beautifully balanced in the mouth, acid balancing the fine grained tannins and fruit. The finish is long and delicious. Love the branding for Dada, the quirky creativity behind the brand. This is New Zealand wine but not as you know it. With top enviromental credentials and a Euro flair what's not to like here.